Chen is the lead man for a Uke Punk band called Disposable in New Jersey. 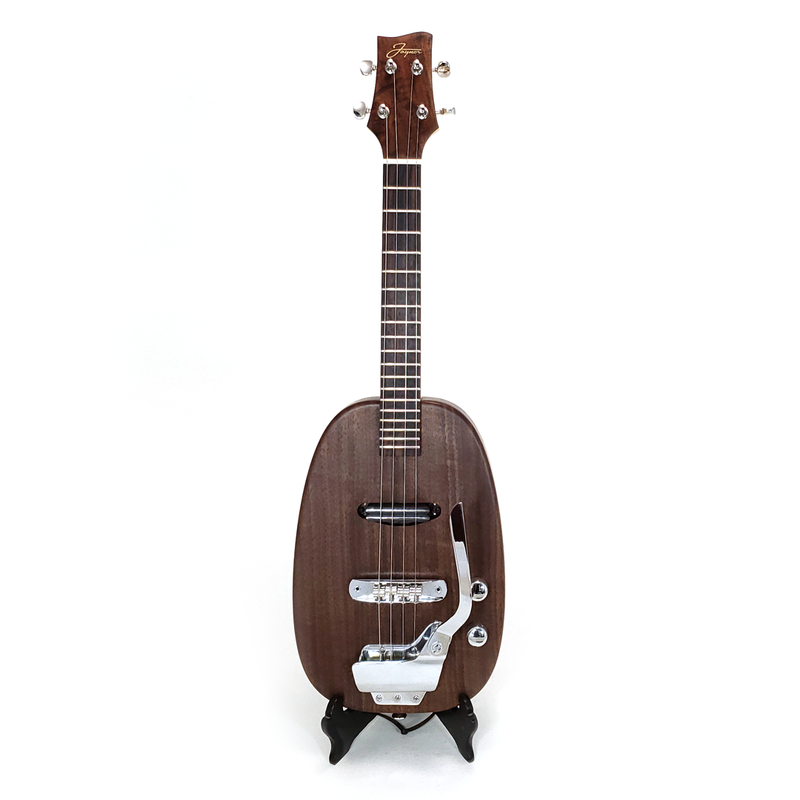 He contacted me after seeing the Baritone Uke with a Whammy Bar that I built for Melissa. 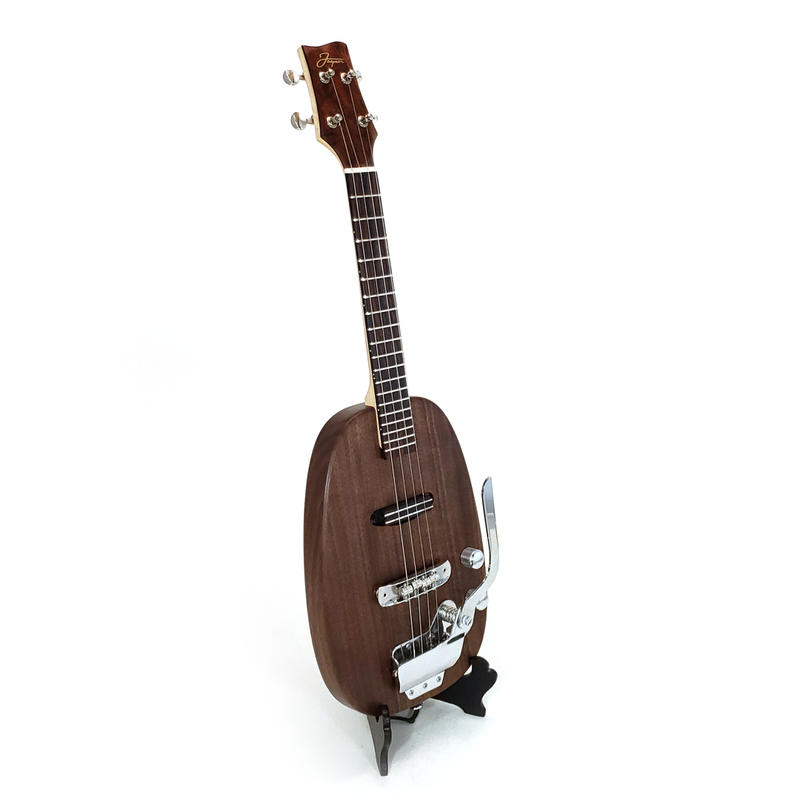 Chen asked if I could build him a concert scale pineapple uke and incorporate a similar trem system into it. I’m never one to shy away from a challenge so I got my ruler out and started roughing in measurements to see if it would fit. 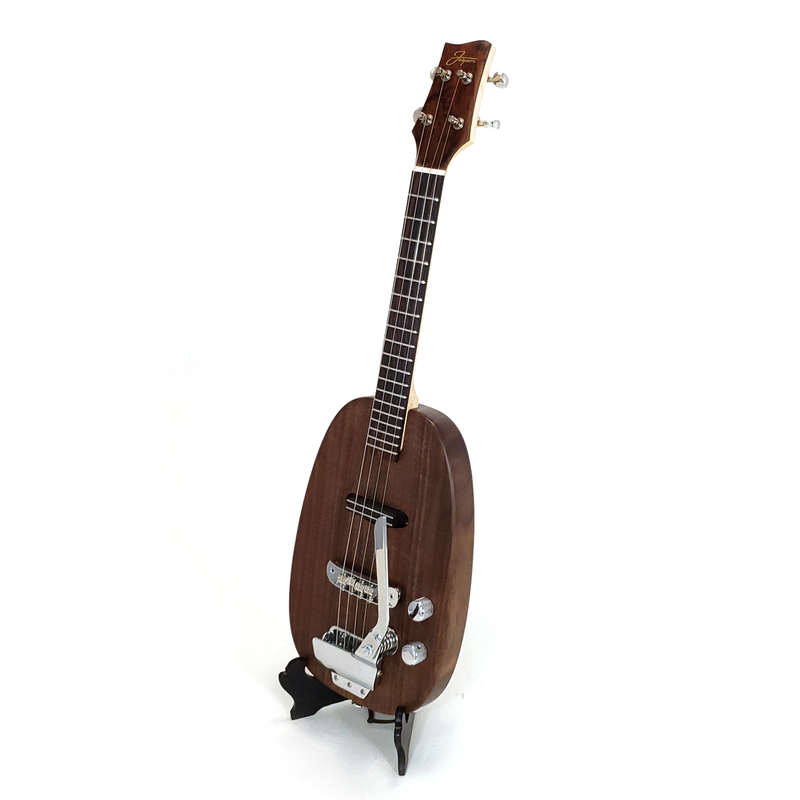 To make the trem system work on a short scale instrument I had to design this uke from the ground up. 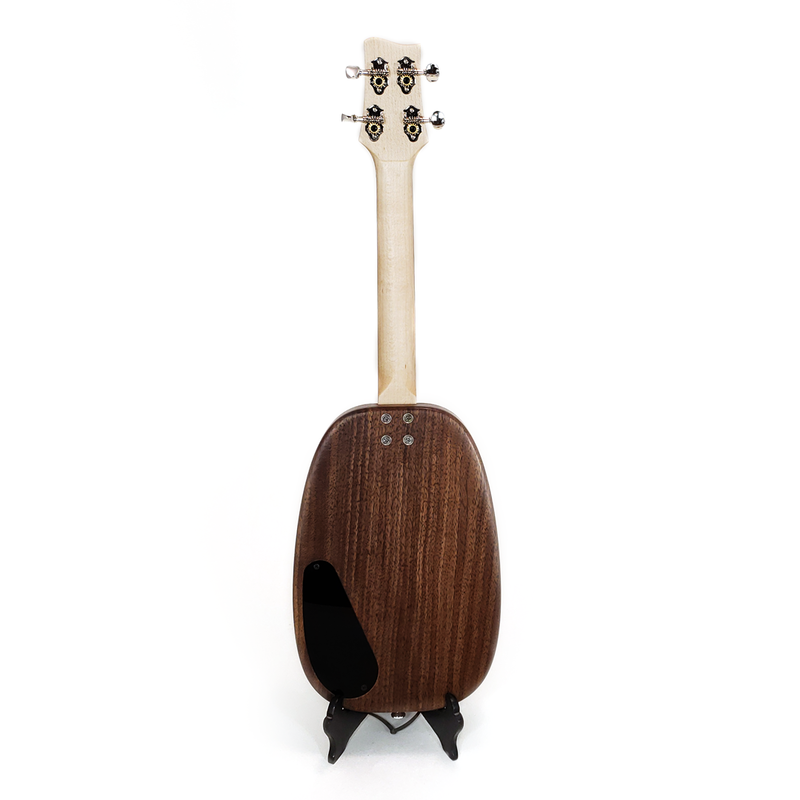 The body, control cavity, and neck joint are all designed with a mind towards accommodating the whammy bar and tail piece. After moving parts around on paper for a while, I finally felt confident that it would work out, so I chose a beautiful piece of quarter sawn walnut and began to build. I paired the walnut body with a maple neck and rosewood fretboard. 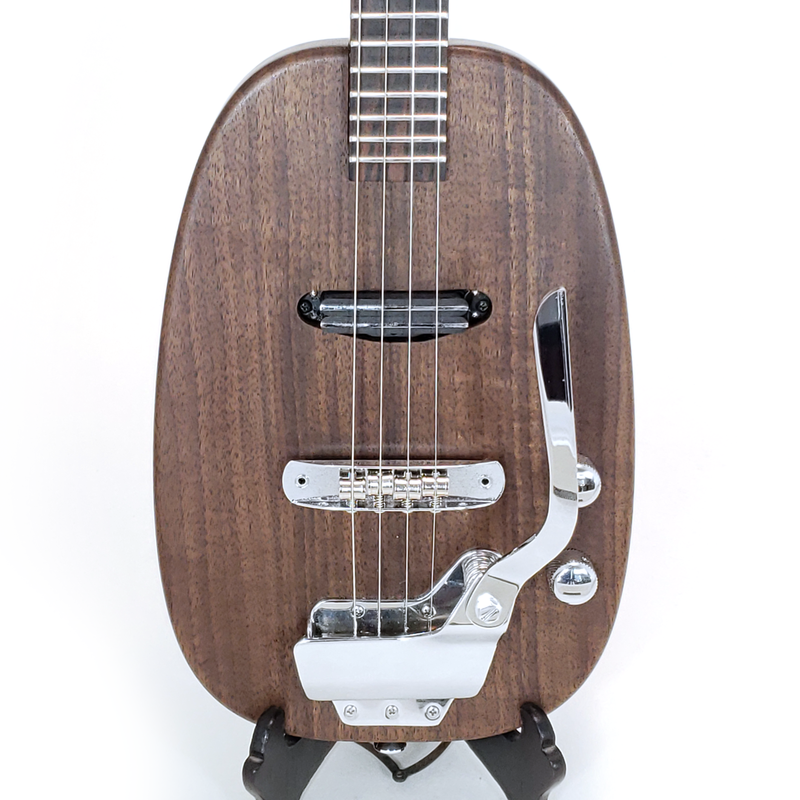 Chen chose a hot rail pickup in what would be the middle position of a guitar so that he could shred on this uke. We paired that a volume and tone control so that he could dial it back if he needed to. Not that he would. The hot pickup combined with the trem really makes for a unique sound and Chen plays this uke unlike anything I’ve ever heard. Start Your Custom Project Now! Want more? Check out this video of Chen opening his uke.